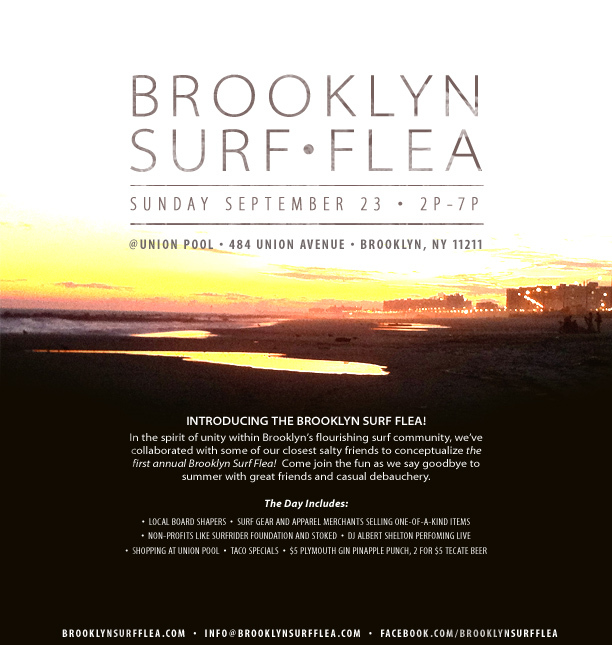 You might already know by now, but we were invited to showcase our jewelry at the 1st Annual Brooklyn Surf Flea at Union Pool this Sunday, September 23rd from 2-7PM. We are super stoked for this event and the opportunity to get our products in front of the surfing community in NY. There will also be music, give-aways, drink and food specials all day long. Come out and show your support for local NY surf business. See you there!